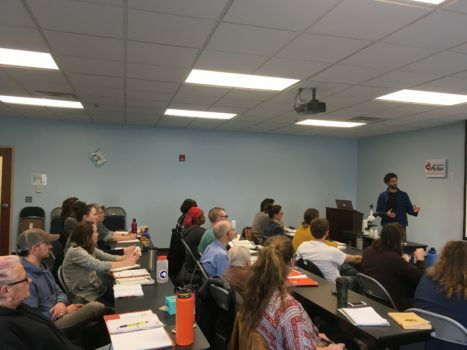 As part of the SARE Sustainable Agriculture Webinar Series, we have scheduled the webinar “Farmer Training of New and Immigrant and Refugee Farmers” for Thursday, June 7th at 10:00 a.m. Matt Pirog, Growing Farmers Program Manager at Community Crops will present the webinar. The link to the webinar is https://unl.zoom.us/j/905209750 . A description of the webinar and a bio of Matt are listed below. The webinar will be recorded and be made available following the live presentation if you are unavailable to participate in it. Proving training and technical assistance (TA) to immigrant and refugee farmers requires a different approach than traditional print and lecture-heavy methods common in the United States. To effectively provide assistance to groups of new Americans, it is important for trainers to tailor instruction to their needs. This means more picture-based and interactive learning activities. These methods are not just effective for teaching new Americans but for all adult learners. In November 2017, Matt attended a training with the national Incubator Farm Training Initiative to understand more about adult learning and effectively teaching new Americans. During this webinar Matt will share his experiences from that training and how Community Crops is applying this information in our own farm training program. Matt Pirog is the Growing Farmers Program Manager at Community Crops, a non-profit in Lincoln, NE managing 9 community gardens, a youth education program, and a 6-acre incubator farm. 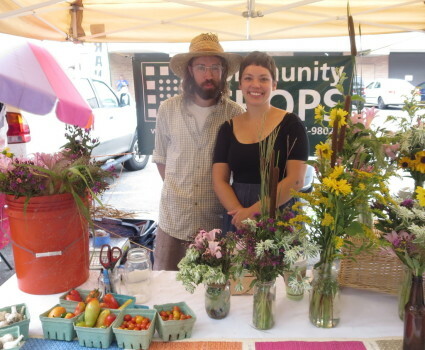 At Community Crops, Matt is responsible for seeking out and facilitating learning opportunities for beginning farmers in Nebraska using lectures, farm tours, and hands-on workshops at the Prairie Pines training farm. He has an educational background in accounting and biological systems engineering, which drives his pursuit of small-scale, soil-regenerative farming models that are financially sustainable. Growing Farmer Training By Community Crops Provides Opportunities for adults, both Americans and Immigrants to Learn about Farming. Next Next post: “The National Good Food Network Conference” by Audra Woita, Project Leader With No More Empty Pots. saremansagnews Create a free website or blog at WordPress.com.